Xerox’s AltaLink devices are the first multifunction printers (MFPs) to be certified by the National Information Assurance Partnership (NIAP) under rigorous new testing standards. NIAP is a U.S. government organization that ensures compliance with the global Common Criteria for Information Technology Security Evaluation. 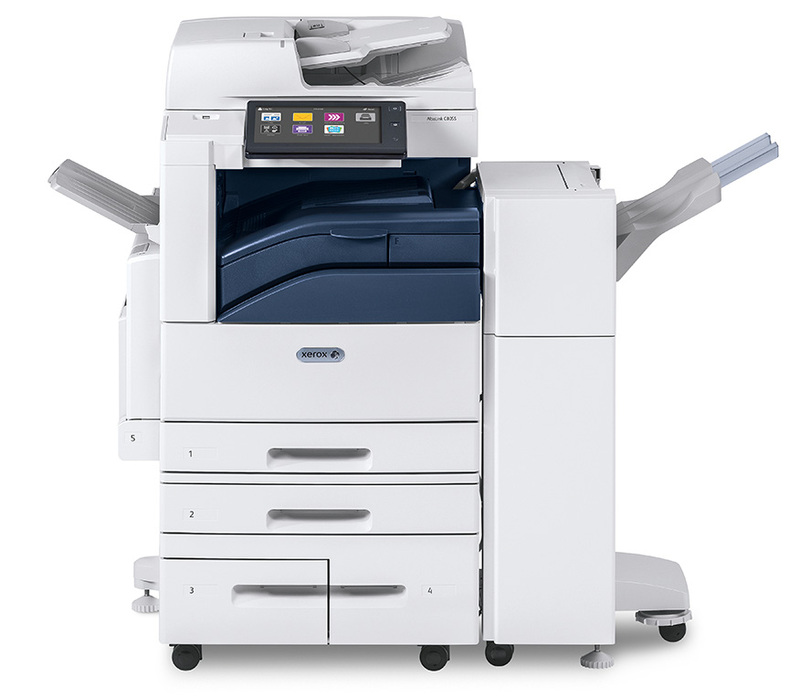 The Xerox AltaLink MFPs come in several models that differ in being able to print in black & white to those that print in color and the models differ in speed. Speed ranges from 30 to 90 pages per minute. AltaLink MFPs come with the ability to copy, print, fax and have a variety of scanning options including scan to email and network scanning. The tablet like user interface makes it simple to perform additional functions like mobile printing and print & scan with cloud applications (such as DropBox). Just·Tech’s Support Connect App (that simplifies the service & supply request process) and Firmware Connect App (that updates firmware, security updates and software automatically) are compatible with the AltaLink MFPs. Finishing options include stapling, hole punch, saddle stitch booklet making and C & Z fold.